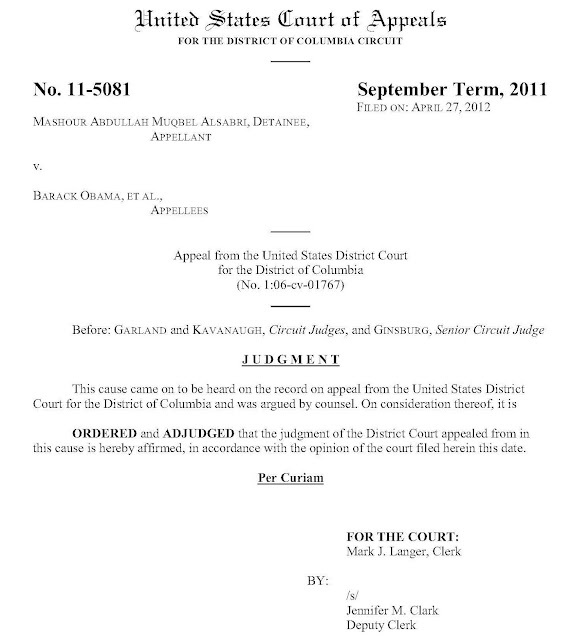 A quick note (thanks to Lawfare) that the D.C. Circuit has affirmed the lower court decision upholding detention in Alsabri v. Obama, a case in which captured documents plays a prominent role, which I previously discussed at some length here. What the court issued today was simply a one-page per curiam judgment. The full opinion providing the court's analysis and reasoning is still classified, but a public version with redactions should follow in due course.